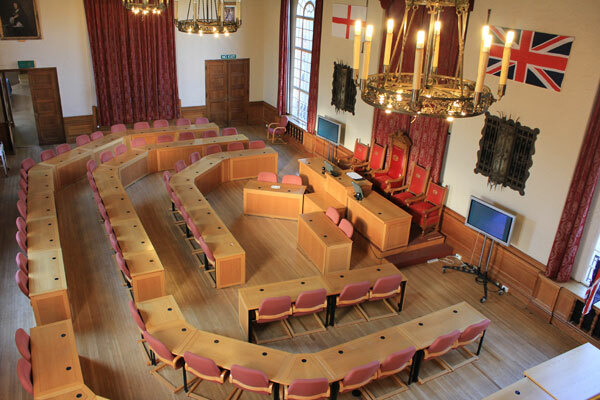 Peterborough City Councillors are members of the public who are elected to represent the views of the people of Peterborough. There are 60 councillors who represent the city and surrounding villages. An elected councillor will typically serve for a four-year term. Each councillor serves an average of around 2,500 electors. Councillors also have to abide by a code of conduct. Eye, Thorney and Newborough Ward is the largest ward geographically in Peterborough at 13,307 hectares or 133 sq km, which is a mixture of grade one, two and three farmland. To the south and east is Cambridgeshire to the north is Lincolnshire. It is also the only Peterborough ward that borders on to two rivers, the Nene to the south and the Welland to the north.